Original vs Cover: “Head On” | Music or Space Shuttle? Is imitation the highest form of flattery? It can be. 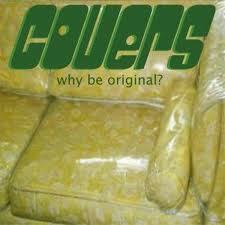 Take the cover song for instance. Nothing is more polarizing in music. The artist that covers a song either makes the song their own or totally misses the boat. There is rarely an in-between. Have you ever listened to a cover song and thought “That was OK I guess”? The answer is no, you haven’t. It’s either ” That was great” or “That really sucked “. What can a person say after witnessing such a catastrophe? My sincerest condolences to Pink Floyd fans. If we all stick together, we can get past this. Move on but never forget. One of my favorite songs is The Jesus and Mary Chain’s “Head On”. It might be in Todd’s Top 10 Songs of All Time list. Well…that may be tough to commit to. Maybe my top 100. It’s at least in my top 1000 of all time. How about this…it’s in my “Top 10 Songs of All Time Compiled on August 15th, 2012 at 5:15 P.M. CT”. That list may change tomorrow or as soon as another song plays on my iPod. 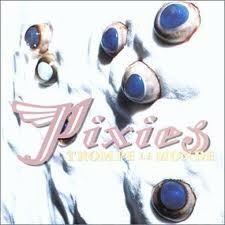 Back to the matter at hand, The Pixies included a cover version of “Head On” on there final full length album, Trompe le Monde. My Pixies obsession has been well documented on this blog so you can guess that I love their cover as much as the original song (Oddly enough, the Pixies version is not on any of my “Tops of All Times” lists. There are very specific rules governing these lists and at this time cover versions are strictly verboten. Legislation is being drafted right now that would allow their future inclusion. Contact your local governing body to voice your support). In their version, Black Francis and the Pixies gang decided to crank up the volume a bit. In doing so they changed the over feel of the song from dark and moody to frantic and angry. Take a listen to both and tell us which you prefer in the poll at the bottom.The Original or The Cover? The Jesus and Mary Chain original.